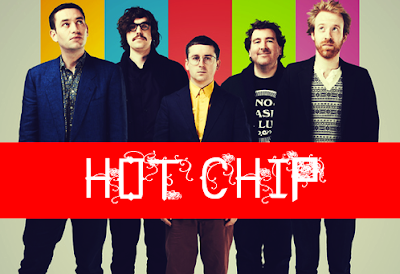 Hot Chip has a different way of using a chroma keyed room in this video for their song "Over And Over". The song is great too, it's a sort of hypnotizing melody and the lyrics are easy to learn and sing along with. Hot Chip is one of the bands I would classify as electronic hipster rock, a term I use when describing bands I enjoy. They make awesome experimental music just slightly off the middle path, but that's what makes them so good.